Looking for more power and better gas mileage for your Pontiac G8? There is no other performance product out there that gives you both except a Pontiac G8 intake. 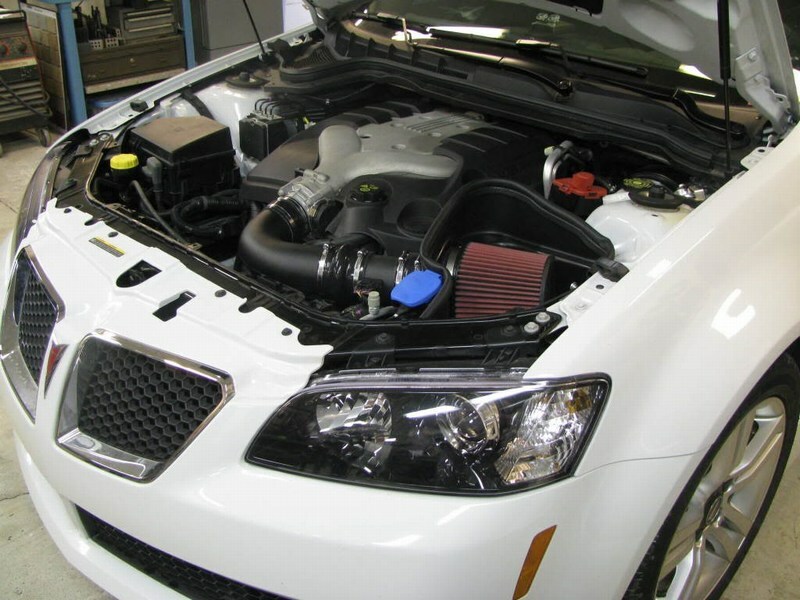 We carry all major Pontiac G8 intake brands such as Airaid, K&N and aFe. All these Pontiac G8 intakes gives your Pontiac G8 great performance gains and better MPG. Because your Pontiac G8 section is quite new, we are in the process of uploading new Pontiac G8 intakes everyday. So get the best of both worlds on your Pontiac G8 and get your own Pontiac G8 intake. If you have questions about your Pontiac G8 intakes for your Pontiac G8, please call us at 714-582-3330. We will be happy to help you with your purchase of Pontiac G8 intakes. Or e-mail us at [email protected] for Pontiac G8 intakes for your Pontiac G8.